It's been an amazing summer photographing clients, both returning and brand new ones, like the McHenry Family! 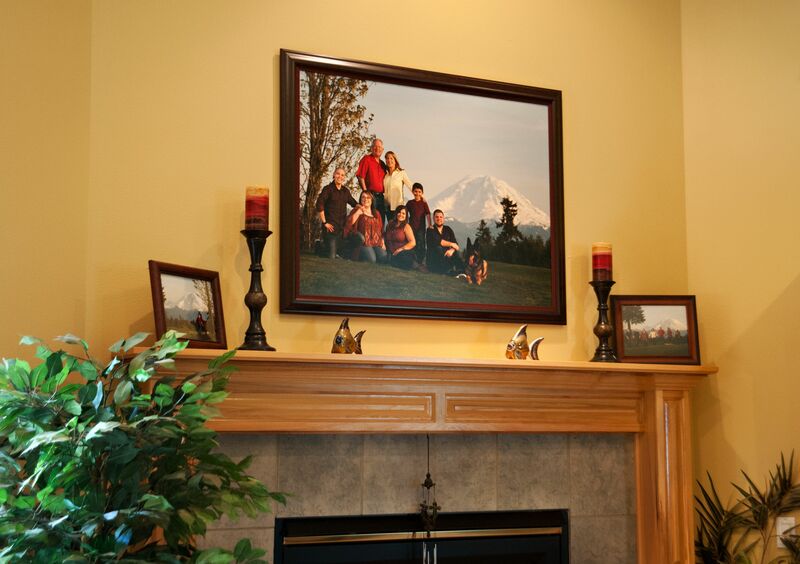 The McHenry's now have a stunning piece of family art in their home, it was custom designed to fit this space, all the way down to matching the colors of the accent candles to their clothing. A 30x40 inch canvas portrait that will be enjoyed for generations to come. 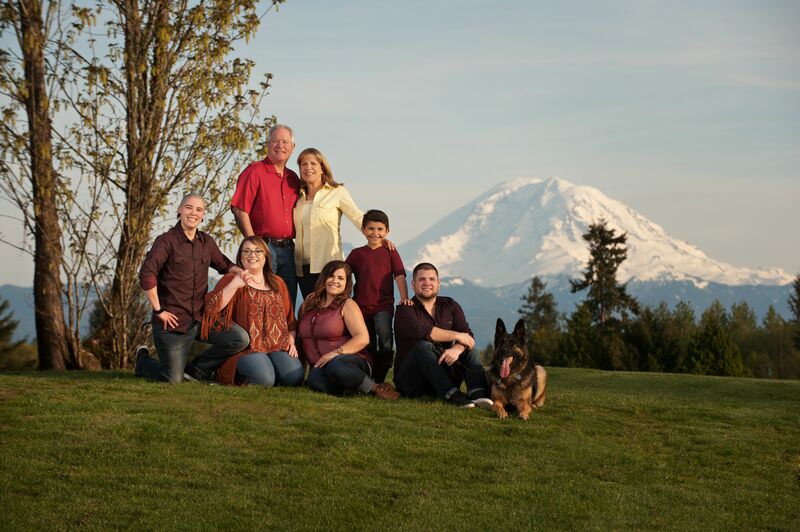 So, you can wait for the Ultimate Family Portrait Guide to arrive in the mail or, if you are ready to pick Bruce's brain in person, now is the time to set up a no obligation pre-portrait planning consultation at our studio in Tukwila. It only takes about an hour and we'll even buy you a coffee! That's right, be one of the first 10 people to call or email us and book your free consultation and you'll receive a Starbucks Gift Card just for coming in to chat!